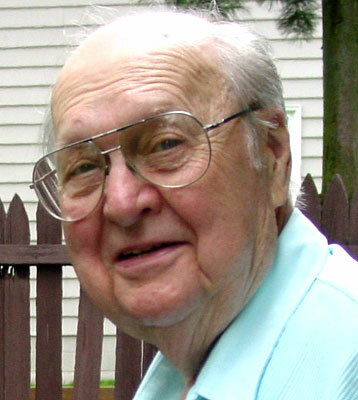 WILLIAM T. STARK CANFIELD – Funeral services were held Tuesday at the Lane Family Funeral Homes, Austintown Chapel for William T. Stark, 89, who passed away Sunday morning at the Sterling House. William was born Oct. 16, 1923, in Johnstown, Pa. A U.S. Army veteran of World War II, William served in the European Theatre in France and Germany. He retired after many years of service from the Allied Metals Company as a purchasing agent. He was a member of the Western Reserve United Methodist Church. He enjoyed gardening, fishing, and collection coins for his grandchildren. William will be sadly missed by his wife, the former Doris Applegate, who he married Jan. 20, 1951; two children, Karen Lamm of Strongsville and Jeff (Susanna) Stark of Boardman; four grandchildren, Sara (Marcelo) Guzman, Briana Lamm, Nicole Stark and Matthew Stark; and one great-grandson, Christopher Guzman. Arrangements were entrusted to Lane Family Funeral Homes, Austintown Chapel.